Spring is on the way, and if we are listening to that cute groundhog, it is coming early this year! I love spring fashion. It is such a fun time to add a few more fun accessories or new items to your wardrobe to perk it up after a long winter! 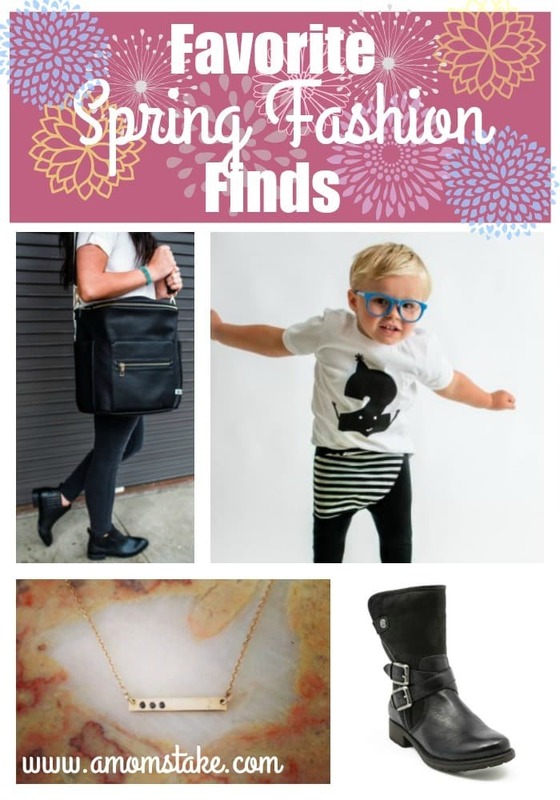 Here are a few of our favorite spring finds. We received a variety of samples and compensation for this post. All opinions are our own. Layering dainty pieces of jewelry is all the rage these days. Whether you choose to wear bar necklaces alone or paired with other pieces, jewelry from the Laurel & Bleau Collection is a must. Measuring one inch across with three beautiful diamonds, this Bar None Necklace completes any outfit. Dress it up with a gown for date night or use it to complete any top and leggings. No matter how you choose to style this Bar None Necklace, you are sure to turn a few heads. Be sure to visit Laurel & Bleau and check out their other necklaces, rings, bracelets, and earrings, and charms. Going anywhere with little kids can be quite the hassle…especially if you run out of hands. Designed to wear as a messenger bag or backpack, you can free up your hands in style with Fawn Design. Unlike most diaper bags, Fawn Design Bags are stylish enough to wear with or without kids in tow; in fact, my Fawn Design Bag often accompanies me on date night. Equipped with 9 pockets inside and out, keeping organized has never been easier. Easily cleanable with a damp cloth, you can always keep your Fawn Design Bag looking new. I can’t tell you how many compliments I get wearing my Fawn Design Bag out in public; the faux black leather paired with the gold zipper and hardware are just the icing on the cake. Be sure to visit Fawn Design for more stylish colors such as brown and stone gray. Spring may be on the horizon, but in some places spring is still chilly and littered with snow days! Sometimes it can be hard to find footwear that is both stylish and functional. The BareTraps Stay Dry System features water repellent technology and faux fur lining, perfect for keeping your feet warm and comfortable during this transitional season. Their prices are dropping and with styles as low as $49.99, you can’t go wrong! They’re perfect for any occasion, whether it’s a commute to work or running errands around town. Pictured above are the Sabella and Zandrea. I personally own several pair of BareTraps Boots and I love how comfortable they are and how cute they look with every outfit! Whether you are heading to the beach or the pool, this bag is a must have. CoolBag is just that, a super cool bag. Not only is it stylish and big enough to fit all your gear, but it has some really unique and awesome features. It is made to keep all your valuables safe. 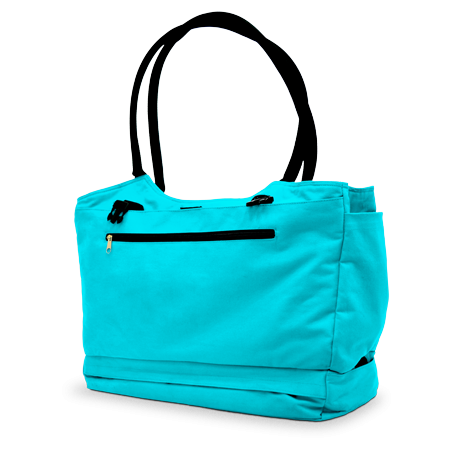 It has a locking zipper and one of the handles is a heavy duty locking cable. Making it great to hook around lounge chairs or anything else. So you can enjoy a dip in the pool and you won’t need to worry about your things being stolen. If that’s not cool enough, it also has a cooler in the bottom to keep drinks, snacks or even just the temperature of the bag with your devices cool. Wear it as a bag or a backpack. This CoolBag has everything you need for a fun day out of the house. I love finding fashionable pieces that fit my son’s personality. Perfect for running, jumping, splashing, and just looking adorable, Cienta‘s Leather Lace Boots are stylish year round. I love that my son can wear his Leather Lace Boots to church as well as on the playground. Their durable build and easily cleanable material make them the perfect toddler shoes. Upon seeing these boots for the first time, my husband made the comment “Where can I get those in my size?” They sure make little feet look stylish! 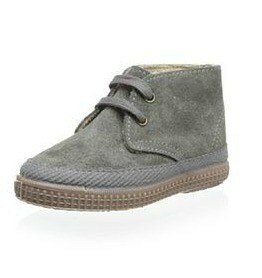 Cienta also carries a variety of other shoes for boys and girls alike. Be sure to visit Cienta to find a retailer near you. Personalized kids clothing is my absolute favorite. Handmade to absolute perfection, Lookie Loo Loo‘s monogrammed shirts, cardigans, and nursery decor is a must for every child. Whether you’re looking for birthday or initial shirts, Lookie Loo Loo’s clothing will help you child feel special and stylish. I love the idea of using Lookie Loo Loo’s numbered shirts to celebrate birthday milestones. What a fun and fashionable piece of clothing your child can cherish forever. Perfect for both boys and girl, initial shirts can be dressed up with a skirt or dressed down with leggings. For more fashionable spring finds, be sure to visit Lookie Loo Loo. Style and comfort has never been easier thanks to Jill Yoga. Made from the highest quality materials such as nylon spandex, cotton, and polyester, Jill Yoga provides stylish active wear for infants, girls, and women. Available in a variety of spring colors and styles, there are leggings, shorts, jackets, and tops perfect for every girl. No matter your size or athletic ability, Jill Yoga allows both women and children to express themselves through bright and bold colors; while focusing on the importance of physical activity. Be sure to visit Jill Yoga for fashionable finds such as their Little Girls Hooded Jacket, Girls Hooded Yoga Jacket, and so much more. What is your favorite must have item for spring? These look pretty trendy! I love Spring, it brings on new cute clothing options! I am loving all of those boots! And I have to have one of those Fawn Design Bags! Love these choices. Those stone grey boots are fabulous! I love short sleeved tunics in soft fabircs- makes spring feel SO light! I’m so ready for spring! You’ve found some adorable looks. I am checking out those boots! I love the style of these boots. The black pair would go great with a few of my outfits. I would love to get a Coolbag for the summer. The locking zipper is a great feature. I think I’m in love with those BareTraps Boots! The black ones with the strap and buckle are absolutely my style! Thanks for the great post! Boots are always in style for me- I just bought a few ‘Winter’ pairs on clearance and was in 7th heaven. Here, in SoCal, Winter boots are everyday boots! I love those black boots. I need those like right now. I am going on a big trip next week and I would love to have those on it. Every spring I HAVE TO buy a new bag. My kids get Easter outfits and I get a bag. It’s usually a bright, cheery color to prove spring is here. That large black bag would be perfect for my trip to New York. Thanks for the tip!